The basket bag has many sartorial associations. Pair it with skinny jeans and heavy bangs and images of Jane Birkin are conjured. Style it with a flouncy gingham dress and suddenly you’re Dorothy in The Wizard of Oz. The basket bag is one of the most versatile bags around—its mood is as changeable as the British weather, and depending on what it’s worn with, it’s one that can take you from office to beach to bar and back again. One only needs to remember Dorothy carried her tiny dog Toto around in hers to realise just how useful a wicker bag can really be. 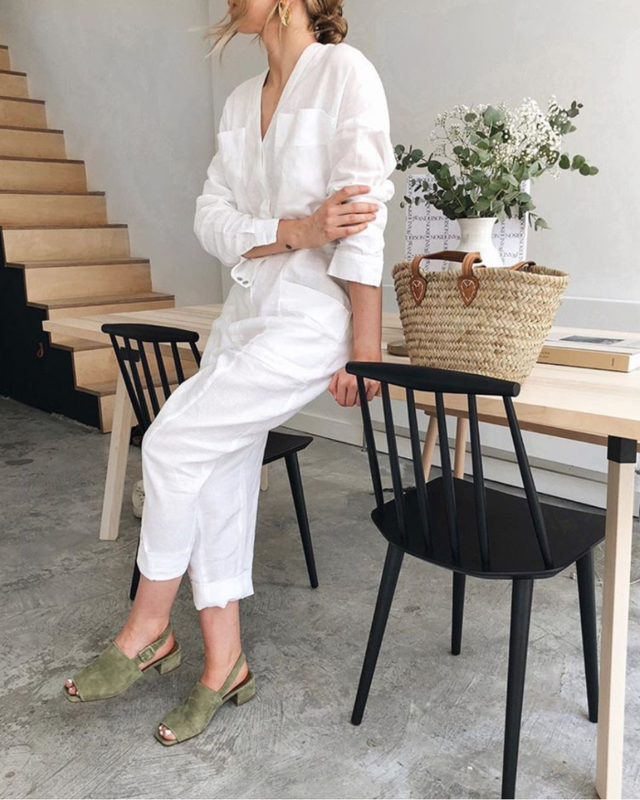 A classic basket adds a feminine edge to utilitarian jumpsuits. While designer basket bags are numerous, this spring, the high street has some amazing versions that will leave you wanting to buy one in every style—from the structured city versions at Zara to the embellished ones at Topshop. Whether you want something bright and fun or something slightly more understated, we’ve rounded up a definitive list of best on the market for your shopping perusal. Pom poms and tassels and baskets, oh my. This sold-out Zara bag proves a basket even works with a trans-seasonal trench. Embroidered with cute monkeys and jungle leaves. Enough said. Is it a basket or a tote bag? Answer: the perfect blend of both. A suitable substitute for that sold-out style. Because baskets don't always have to be straw-coloured. Chic, simple and perfect for every day. The lunchbox of the basket world. It holds all manner of essentials. Aren't all of these options so adorable (and cheap)? We know—it's hard to just pick one.